You’ve probably donated to a “matching” campaign before, where others give if you do. But did you know… all your donations to Athens Area Habitat are dollar-matched, and then some! 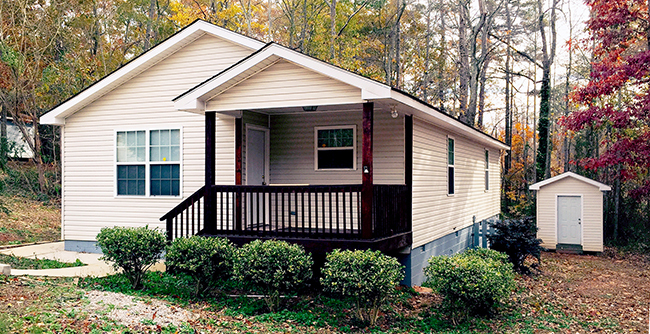 Habitat for Humanity didn’t start in Georgia, although the idea was born here. Its core formula for creating decent, affordable housing was conceived in Sumter County, GA, but was actually crafted overseas in the 1970s before being brought back to the US by Millard and Linda Fuller. The Fullers believed that temporary assistance should be used to directly reduce poverty by helping people build capital of their own. Their “Partnership Housing” model used donations to build homes and to endow a revolving fund that could enable interest-free loans which paid back the donation over time, allowing the seed funds to be used again and again, providing more people with strength, stability, and self-reliance through shelter. This is still the core Habitat model. Home ownership improves financial stability and creates greater opportunities. By working together with families on the cusp — who can afford monthly payments within their income, but not market mortgage rates on built-for-profit homes — Habitat staff, volunteers, and local partners help create a foundation for future success. As partner families build wealth for themselves, they also repay the cost of the home. Under the Habitat model, the “matching dollars” are provided by those who receive assistance as they are able to pay, and the rotating fund continues to support no-interest lending to qualified buyers. So an Athens home that costs $70,000 build will have that up-front amount reimbursed, making the model sustainable over the long term, as it has been for decades now. Even before the dollar-matching kicks in, partner families contribute by cutting the initial cost of the home through volunteer work, either on build sites or at local Habitat ReStores which raise funds for construction. 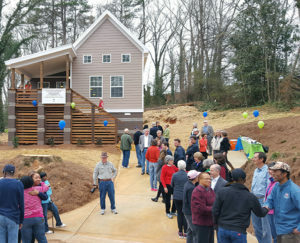 When a housing application is approved, the future homeowners join a community-wide partnership including Athens Area Habitat and other local organizations and businesses who volunteer, donate, and co-sponsor Habitat projects. 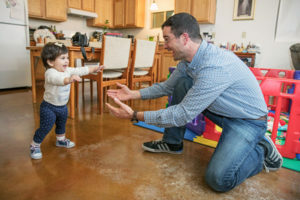 Every new home, every renovated apartment, every access ramp and emergency repair is a partnership — individual donations are pooled with grants, local Habitat resources, volunteer hours, and non-profit discounts from vendors to keep costs low and enable more construction and renovation per dollar invested. Homes built by Athens Area Habitat are tailored to their neighborhoods and must meet standards of efficiency that typically exceed local requirements. So while partnering families build capital wealth, their neighbors benefit from price stabilization and, in many cases, the rehabilitation of abandoned lots. You can’t tell a Habitat home just by looking at it, and there are now more than 80 Habitat-built homes across Clarke, Oconee, and Oglethorpe counties. In 2017, three Habitat homes in Athens-Clarke County were included in the annual Tour of Modern Homes, proving that construction can be both cost-efficient and attractive. 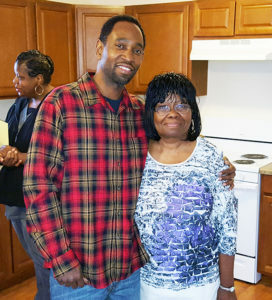 Through its ReNew Athens program, Athens Area Habitat also renovates abandoned multi-unit housing such as apartments and duplexes, serving individuals and families whose incomes aren’t quite enough to pay typical rental rates. Donations to these projects are also “matched” by rents contributing to the rotating fund, volunteer hours, and contributions from community partners. If you’d like to invest in decent, affordable housing in the Athens area and see your investment matched by residents and other local partners, you can join the Committee of 1000, a group dedicated to doing great things through small gifts. A contribution of $70 or more qualifies you for membership, and includes an invitation to the annual gala celebrating the work of Athens Habitat, made possible this year by the generosity of co-sponsors Thrivent Financial and event host Georgian Hall. Joining is easy. Just click the link below to make your contribution. We’ll take care of the rest.